READY IN JANUARY! Updated floorplan includes 1533 square feet of spacious living with 3 bedrooms, 2 bathrooms, 3 car garage and a full unfinished basement. Additional features include covered patio, wood floors, large kitchen island with granite countertops, full tile backsplash, stainless steel appliances, 42 cabinets with crown molding & hardware, full tile in master bath, air conditioning and the list goes on. 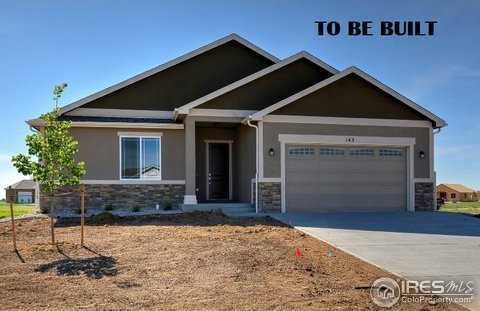 Front Landscaping included! Pool coming in 2019! $5000 preferred lender credit! Please, send me more information on this property: MLS# 857884 – $394,430 – 6852 Meadow Rain Way, Wellington, CO 80549. I would like to schedule a showing appointment for this property: MLS# 857884 – $394,430 – 6852 Meadow Rain Way, Wellington, CO 80549.